The coaching programme at Castor & Ailsworth TC is proudly provided by i2c Play Tennis. 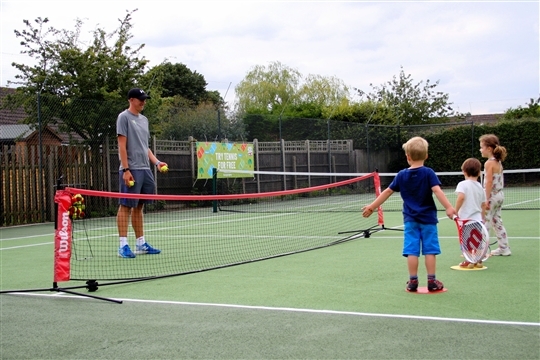 The i2c Play Tennis coaching team is one of the largest in the UK, providing tennis coaching programmes at more than 25 tennis clubs and facilities across the UK. Max Lambert; Max has come through the ranks from club player, to level 2 coach and has recently passed his level 3 coaching course too. His passion for coaching means he is taking a break from studying and we are excited to see him on court and working with us full time. Come and join our club and enjoy our lovely village courts, 2 grass courts and 1 hard court with our active and very social members. To find out more information about membership please visit our club website.